Ford, Vauxhall and VW were the top-selling car manufacturers in the UK during the first nine months of 2015. The Fiesta was Britain’s favorite car model. In September 2015, the British car market expanded for the 43rd consecutive month. During the first three quarters, new passenger vehicle registrations in the UK exceeded two million cars for the first time since 2004. New passenger vehicle registrations in the United Kingdom increased by 7.1% to 2,096,888 cars during the first nine months of 2015. September 2015 was the 43rd consecutive month of year-on-year growth and with 462,517 cars the strongest September on record. September is traditionally one of the two highest volume months for British car sales due to a change of number plate digits. The British car market was helped by general strength in the economy but also new model launches with interesting technology. Low interest rates also make financing more affordable. Ford and Vauxhall easily maintained their traditional positions as Britain’s strongest car manufacturers. However, both carmakers strongly underperformed with Vauxhall clearly in need of the new Astra model. Volkswagen and Audi were again in third and fourth place. However, both Volkswagen and Audi may face a more uncertain fourth quarter due to the unknown influence of the emissions scandal that broke only late in September. Uncertainty, more than actual problems with the cars currently on the market, may be the more damaging factor for Volkswagen and other group brands including Audi, Seat and Skoda. Nissan sales in Britain had been much stronger in 2015 allowing the Japanese carmaker to just overtake BMW for fifth place thus far this year. Mercedes Benz was the most-improved brand of the top ten best-selling car marques in Britain. Peugeot was the only top-ten car brand with lower sales in Britain during the first nine months of 2015. Peugeot maintained its rank position, as did Toyota. Hyundai increased sales by just over market average but sufficient to enter the top-ten list at the expense of Citroen, which slipped to eleventh. Citroen sales were slightly weaker but in part due to DS being established as a separate brand this year (and entered the list at 30 at the expense of Alfa Romeo). The most-improved brands were Jeep, Mitsubishi and Smart. The worst performing brands were Suzuki, Seat, and Fiat. Porsche and Mini were much improved due to new models. Mini was the only brand to improve two rank positions: Suzuki the only brand to slip two. The Ford Fiesta easily maintained its traditional position as Britain’s favorite car model. However, Fiesta sales were only around a thousand units more than during the same period last year – a rather weak performance in an expanding market. The new Vauxhall Corsa overtook the Ford Focus for second place. Corsa sales were up by 10,000 while Ford Focus sales increased by only around 2,000 cars. The Volkswagen Golf maintained its fourth place with unit sales up only around 600 cars. Sales may be hurt during the rest of the year due to the emission scandal, although the Golf remains a very desirable car in Britain. The Nissan Qasqai improved to fifth place – it was sixth during both 2014 and 2013. The VW Polo similarly improved one position – it was 7th in 2014 and 9th in 2013. Both models hugely increased the number of cars sold in Britain thus far in 2015. The Vauxhall Astra slipped from 5th to 7th. It was the only top model to have sold fewer cars thus far this year. A new Astra model is due towards the end of 2015. The Audi A3 maintained its 8th position from last year. 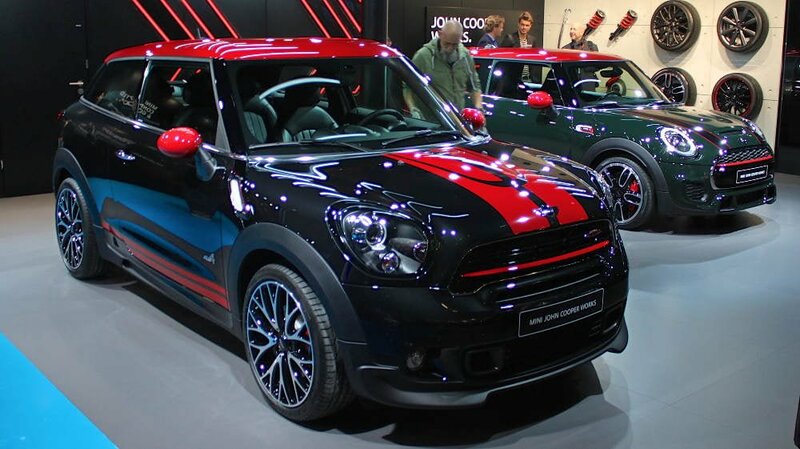 New entrants on the top-ten list of Britain’s most popular car models are the Mini and Mercedes Benz C Class. The Fiat 500 and BMW 3 Series dropped off the list.